The device operates in the resonator frequency range from 880 – 906 MHz. 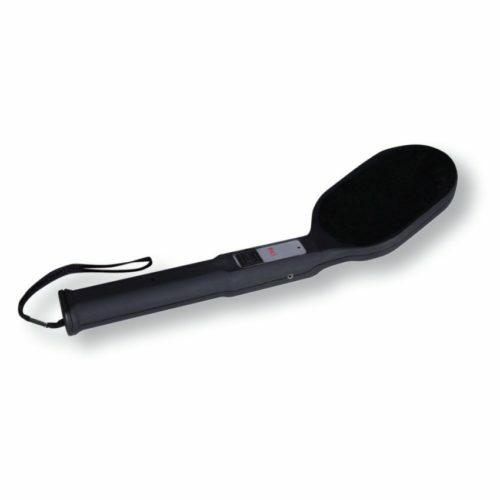 Its design makes it the ideal device for typical cleanups. Equipped with a rechargeable battery, operation is possible for more than 3.5 h. With a weight of only 1 kg, it is a lightweight in its class. As a result of its extremely thin antenna (max. 18 mm) even little available space can be managed without problems. Automatic frequency hopping technology to avoid interferences from existing frequency bands used as well as automatic and manual adjustments to the transmission power allow optimal handling.